Fun Giveaway for #BobsBurger fans! Guess what? 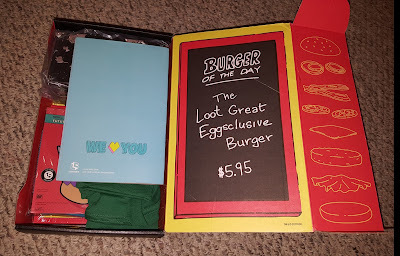 Loot crate knocked it out of the park for all Bob's Burger fans in their ANIMATION box! I hate to admit that I have never seen the show. Instead of adding a new show to my list of "must watch" and see what it's all about, I decided that I would host a giveaway for one lucky reader!!! Keep reading to see what all was in the box! Again, way to go Loot Crate, I have yet to be disappointed! 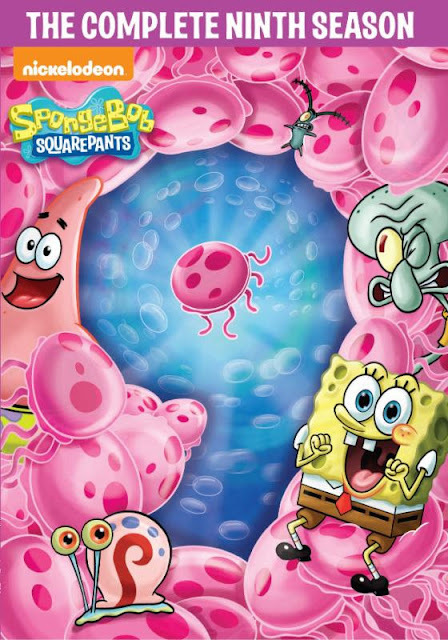 I will be the first to admit that we don't watch Spongebob here... I have many friends that say their kids love it, but its just not my thing. I am pretty sure they show it at Broxton's after school care, but that is about it! I think that many kids will love this new DVD, it seems full of great episodes! Savannah loves cars and monster trucks, trains and planes. Basically she loves any mode of transportation. This is when I THANK GOODNESS I saved Broxton's toys! I have not introduced her to Blaze and the rest of them... Yet! 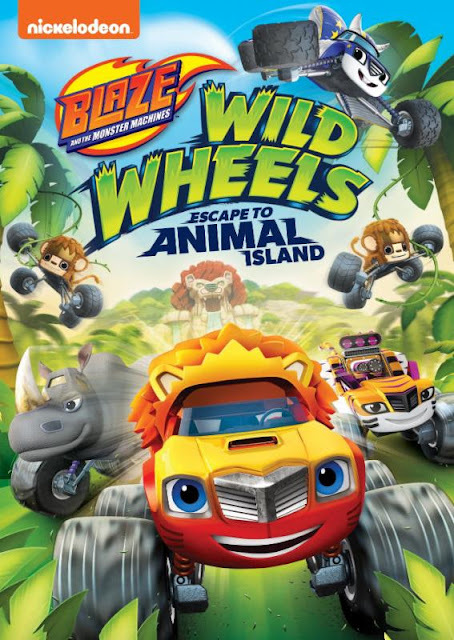 This looks like a great one, full of the Monster Machines as well as Animals! Go ahead and check it out, perfect for some on your list this holiday season! I grew up as a child of the 80's. I loved the smurfs cartoon show and yep, I loved when they made a Smurf movie. Bonus points that Broxton enjoyed it too! The name says it all, Smurfs, the Lost Village... Smurfette and a couple other key Smurf characters FIND A VILLAGE of Smurfs!!! This is a must see movie! If you loved the Smurfs, you will be MIND - BLOWN when you see this! Talk about questions being answered and all that good stuff! 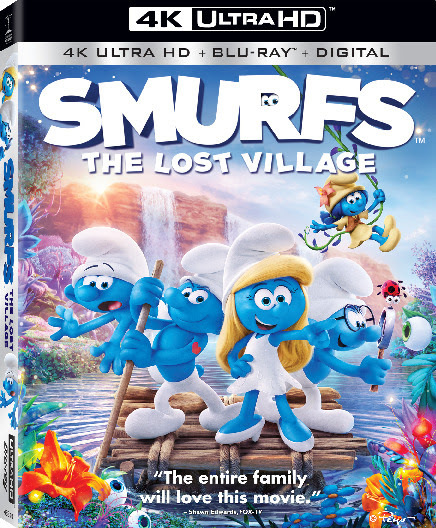 SMURFS: THE LOST VILLAGE is also available in THE SMURFS 3-MOVIE BLU-RAY COLLECTION, which includes The Smurfs and The Smurfs 2. Can you believe it is already October? I was talking to a customer the other day and we discussed that this is the time of the year when everything just flies by. Football season, Halloween, Thanksgiving, Christmas and then BOOM - It is a whole NEW YEAR!!!!!!!!!! But, I love these two more than they will ever know! 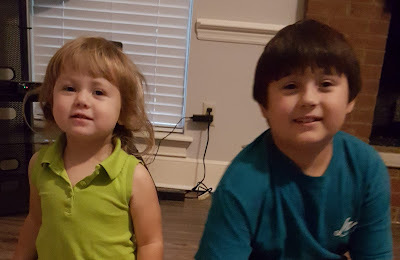 They are growing so fast and they are my favorite everything! In honor of time flying by, I wanted to do a giveaway. One lucky winner will win a $25 gift card to your choice of Wal-Mart OR Target. You can use it to buy fall decor, save it for Thanksgiving groceries, Christmas gifts or whatever you would like to buy! What is your favorite thing about this time of year! Enter below on the Rafflecopter form! Movie Night? 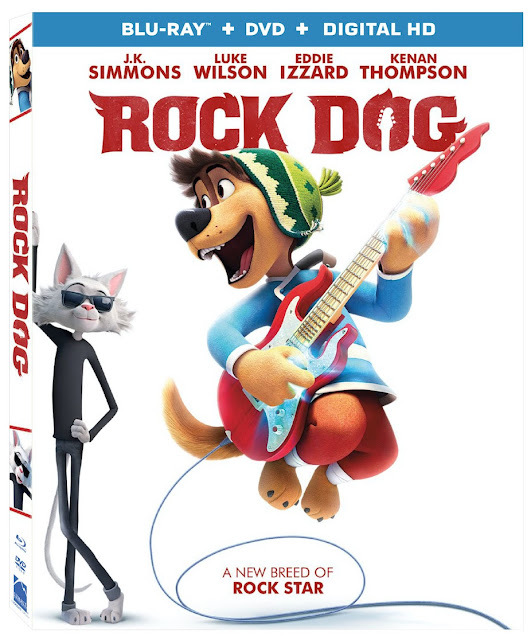 Watch Rock Dog!!! We have movie nights as often as possible. We were lucky enough to have been sent Rock Dog for review and let me tell you, it is one that we watch over and over again. I love the music, I love the story of following your dreams. If you have not seen it, try to get it on your movie night list as soon as you can. Broxton and Savannah request it often and even in the car when I can't see it, I can still enjoy listening to it!